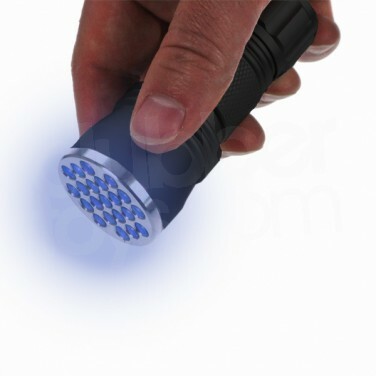 A small and compact 21 LED UV torch that highlights UV reactive ingredients in materials. 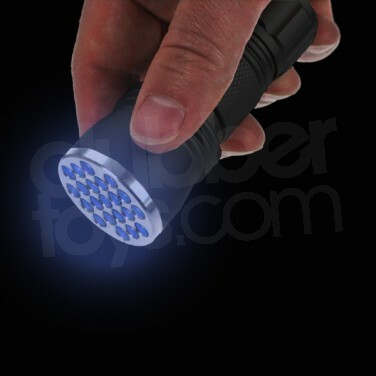 Great for use at parties and in clubs, or to satisfy the frustrated forensic in you. 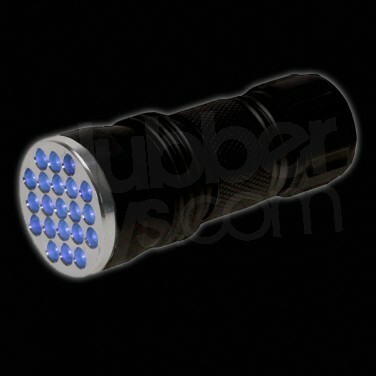 21 Led Uv Torch A fantastic accessory for your night out, the UV torch will light up all your UV clothing and make up, so that you glow all night long.